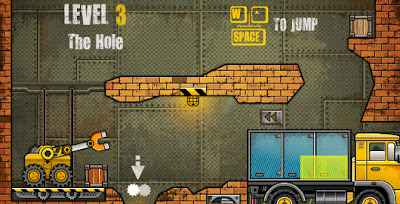 Truck Loader 4 is the new adventures of little but strong Truck Loader and his faithful magnet. Use your magnet-equipped buggy to place boxes in their specified zones in the back of a truck. Don't forget to leave the truck when you've finished the job. This game is free to play. Please check inside game for instructions on how to play Truck Loader 4.